A motivated, connected tribe is incredibly powerful. This is why customer advocates are more important than influencers. There is a passion and emotional commitment from advocates that drives action rather than simply awareness. From our research at BuzzSumo we have found that quizzes are a great way to engage with your tribe and to get them to promote your brand. We take a look at 5 companies successfully engaging their customer advocates with quizzes; and getting them to actively share and promote their brand. We all know that quizzes are big on social media. It seems everyone loves to do a quiz and to share their results with their friends. Sites such as PlayBuzz and BuzzFeed are masters at designing viral quizzes. These quizzes can often receive hundreds of thousands, if not millions of shares. See the most shared quizzes in the last year. Quizzes also have many other benefits as a form of content marketing. They are interactive, fun and they keep people on your site longer. One thing they don’t do is build links, people love to share but few people link to quizzes. However, what is less well known is how powerful quizzes can be in building your tribe, your customer advocates. Quizzes address the shared interest, they represent an opportunity to learn and to test your knowledge. More importantly quizzes are an opportunity to communicate your place within a tribe by demonstrating and sharing your knowledge. Sharing your quiz results reinforces that you are a true member of the tribe, that you belong with the community. Sharing the quiz results with your friends is as important, probably more important, than taking the quiz itself. We look at 5 companies that are using quizzes to engage with their fans and advocates to great effect. This innovative brand uses list posts, country music and videos to drive traffic but it is also a great example of how to use quizzes. 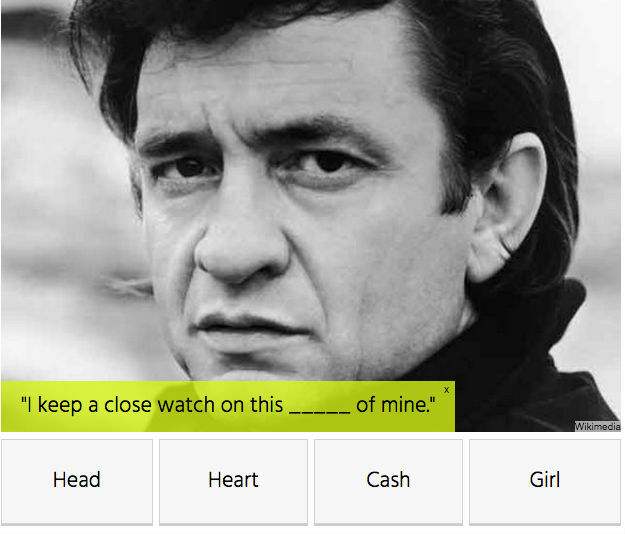 So You Think You Know Country Music Lyrics? Their Garth Brooks lyrics quiz received over 60,000 shares, making it their tenth highest shared piece of content in the last 12 month. You can view some of their most shared quizzes here. Overwhelmingly the company’s quizzes were shared on Facebook rather than other networks. When it comes to quizzes sharing Facebook is king and it is invariably the best network to focus on. Football fans in Europe are passionate about their teams. The US is also increasing passionate about its soccer (congratulations on winning the women’s World Cup final). One of the ways Barcelona FC are keeping their fans engaged is through quizzes. The quizzes also get widely shared. The top ten quizzes they published this year received an average of 60,000 shares. It appears fans love to test their knowledge and to share their results to show that they are a true fan. Barcelona’s Big League Quiz received over 100,000 shares. You can view their most shared quizzes here. Ultimate Liverpool pub quiz – can you name these 25 boozers? Liverpool FC quiz: can you name these 16 players from the 1990s? 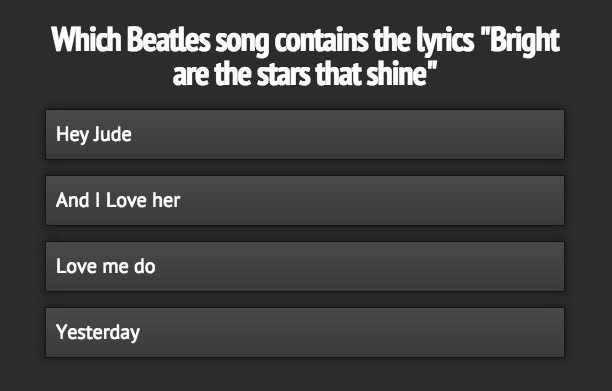 Their Beatles lyrics quiz was the most shared content item on their entire site last year. It received over 600,000 shares. In the last year Disney has published 200 quizzes, around 4 a week on average. The total shares of quizzes on the Disney.com site is greater than any other site including BuzzFeed and Playbuzz. Their top quiz, Who is your Disney Spirit Animal received over 800,000 shares. 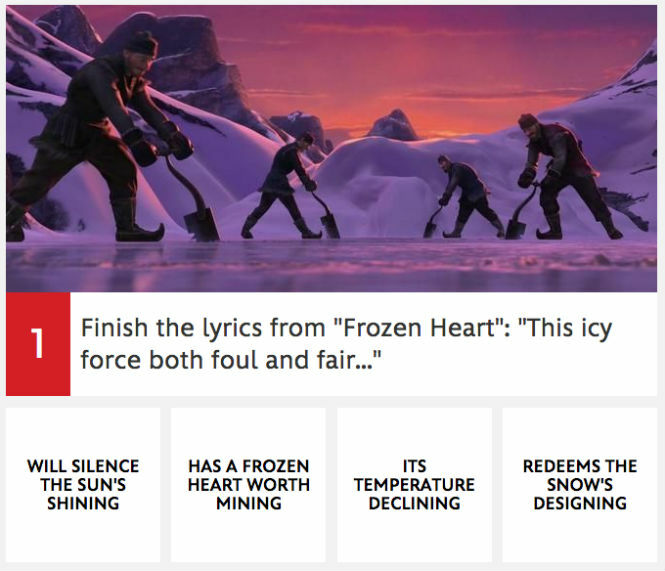 Their top knowledge based quiz was Do You Really Know the Lyrics to Every Frozen Song? So you can now demonstrate that you really are part of the Frozen tribe. The official Star Wars site also seeks to engage many of its fans through quizzes, you can view their most shared quizzes here. However, they have far more outcome based quizzes rather than knowledge based quizzes. These get well shared but provide less opportunity to demonstrate your knowledge and prove you are part of the tribe. I have included Classic Fm, not because they get masses of shares but to show how well quizzes work in all tribes. Their quiz How well can you read music? was one of their most shared content items this year gathering over 36,000 shares. There are many other examples of quizzes designed to engage tribes. Personally I really like this video based quiz about Bob Marley. 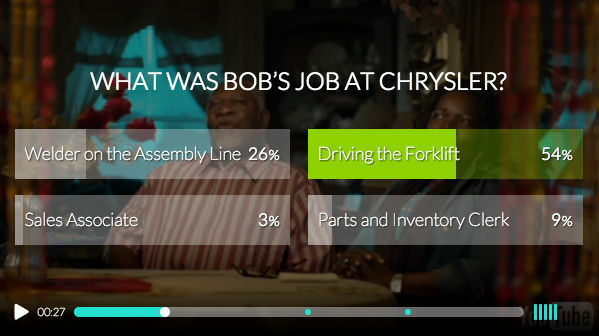 I think we will see more of these interactive video quiz formats. Focus on quizzes that allow your community to demonstrate they are part of the tribe. For example Country Outfitter’s quiz on southern phrases or Liverpool Echo’s quiz on how well you know Liverpool. Knowledge quizzes work better in engaging a tribe than outcome based quizzes. You want them to be able to demonstrate their knowledge and reinforce their sense of belonging. Facebook is the top network for sharing quizzes and hence the network to focus on in terms of promotion and distribution. You can get started by using tools like Agorapulse and Qzzr. These tools make it very easy to develop and share engaging quizzes.